As prosecutors announced an investigation into Grupo Oviedo’s management of a Lambayeque sugar company, hundreds of workers continue to demand the company’s exit. 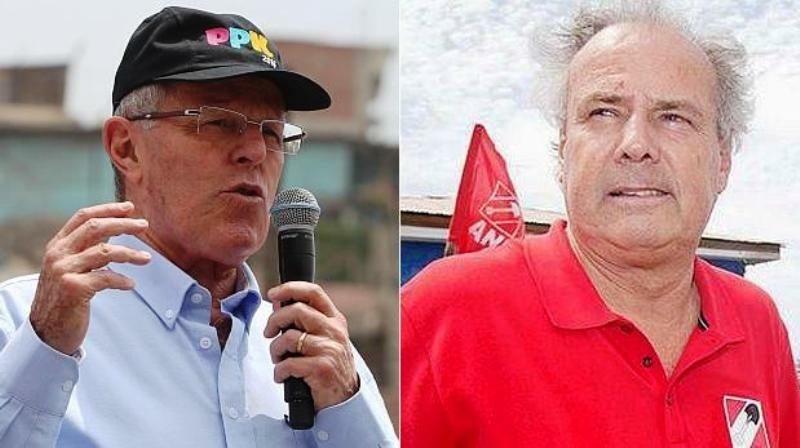 On Monday, Chiclayo district attorney Carlos Osores announced a 120-day investigation into Grupo Oviedo director Edwin Oviedo as well as managers Segundo Ordinola and Wigberto Cabrejos. The investigation will determine if criminal charges are warranted for conspiracy, fraud, perjury, tax evasion and defrauding shareholders in the company’s government-protected management of the distressed Empresa Agroindustrial Tuman sugar company for the last nine years. “While [the company] deliberately did not comply with the payment of the debt principal that put the current management in charge, they caused millions in losses to society,” the district attorney’s statement said. Osores said exectuives caused the collapse of the company while earning monthly salaries of over $4,000 and generating company debts of $162.8 million in taxes and unemployment insurance payments under the special “Oviedo law,” which effectively exempts the company from paying debts. Osores’s statement also details suspicious policies which incurred millions in losses including a $10.1 million contract to clean company drains, low field productivity, sales exclusivity for Grupo Oviedo subsidiary companies and questionable asset transfers. “They are acting in retaliation to the refusal [to change management] on the part of the judge, who also ordered that an aggravated robbery be reported,” said Grupo Oviedo lawyer Jose Isla. 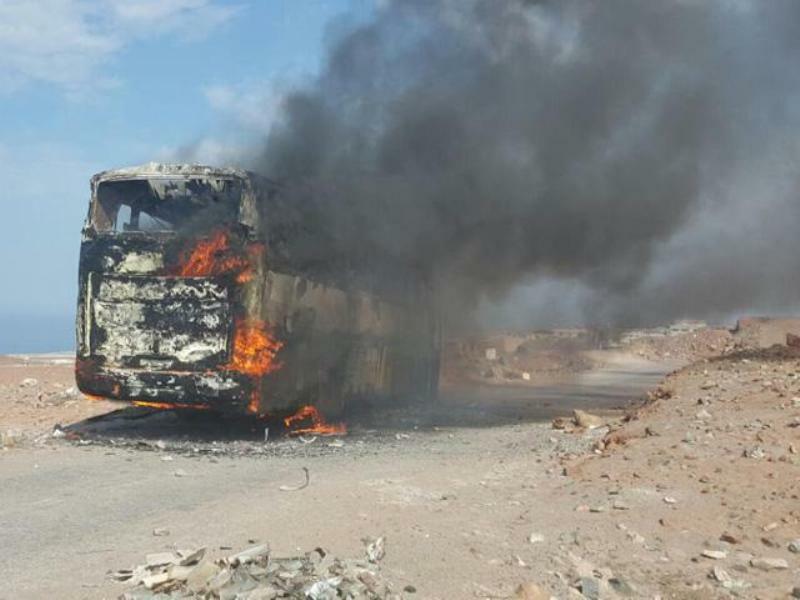 Meanwhile, Tuman protests completed their 73rd day yesterday when over 300 protesters blocked the highway between Chiclayo and Cajamarca with rocks and burned tires. 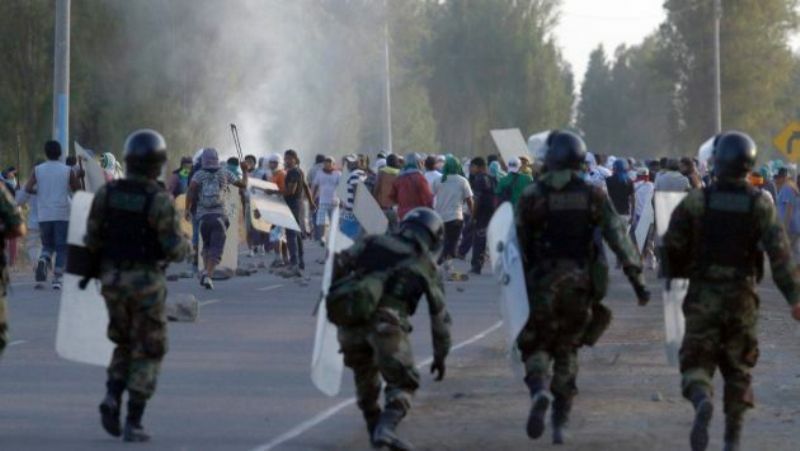 Correo reports the mob pelted a police officer with stones. 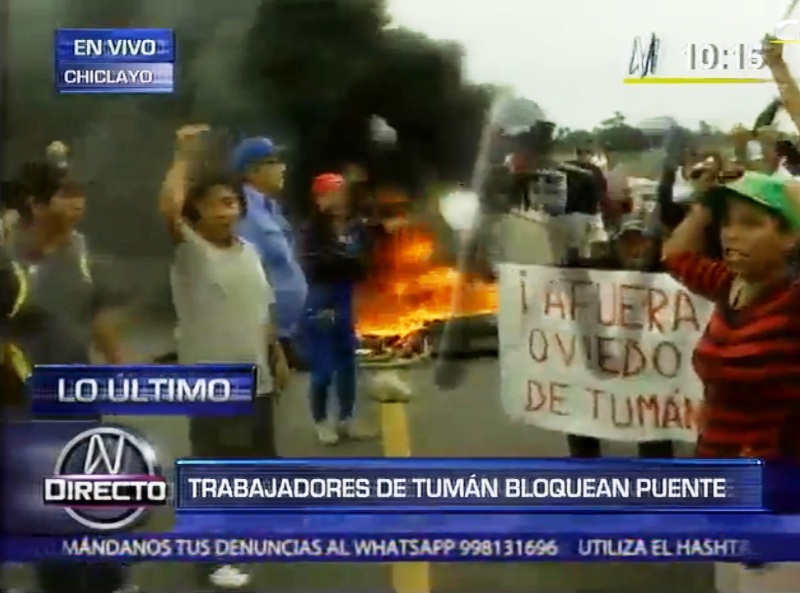 Tuman sugar workers are demanding the exit of Grupo Oviedo and that Empresa Agroindustrial Tuman be managed by the employee shareholders. Union leaders have rejected negotiations with Grupo Oviedo. 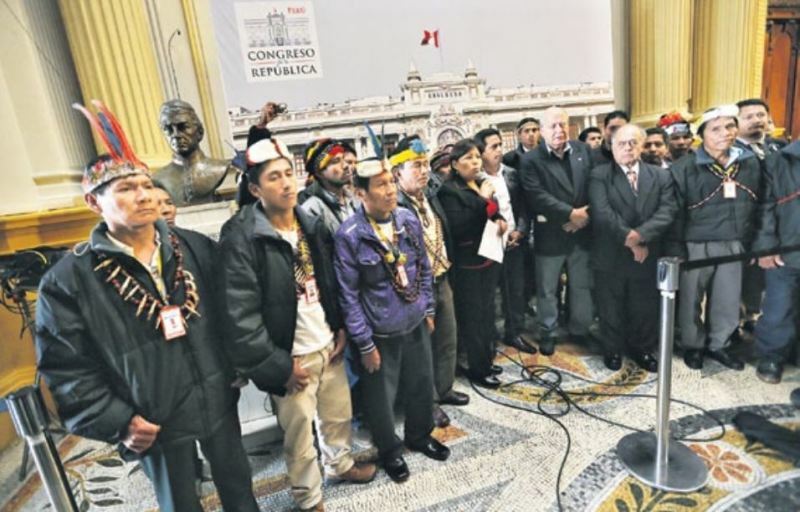 Critics allege that Grupo Oviedo allows Empresa Agroindustrial Tuman debts to grow out of control under government protection while Grupo Oviedo subsidiary companies profit from below-market prices and other favorable terms.